A. E. West is a fine artist with a background in Marketing Design & Non-Profit Management. 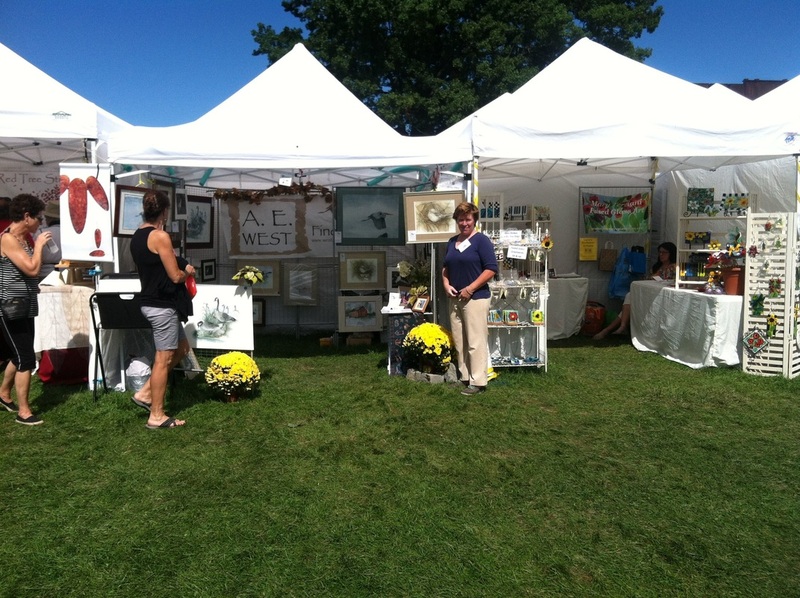 A. E. West attends art shows along the east coast and is available for commissions. The West name was my born name when I was very young, and then it changed for a really long time after an unfortunate divorce when I was around three years old. ​Many years have gone by since I had last seen my father and extended family. Through a couple of determined relatives, I was finally able to reunite with my West family, and it was a gift from God. We carry so many similar traits that it seems like nothing short of a miracle whenever I am with them. My life has been filled with love, and it's as if I never left them. Sadly, my father died years ago so I never had the chance to reconnect with him as an adult, but I have been able to know him through his brothers and sister and my cousins. ​I remain connected with my family through my paintings, and our shared love of nature and the outdoors. I take samples, do sketches and with the help of my Uncle John West, nature photographer, I can then re-create what I have seen and experienced on paper. ​I hope to create uplifting works that other people can connect to and also find meaning in. Sometimes through difficult circumstances there is always a chance that We Start Renewed, no matter how long it may take us to get there.